Benach Collopy and Whitman Walker partners. This summer, I have had the great privilege of working for Benach Collopy on transgender asylum cases as the Fellow for Trans Asylum. 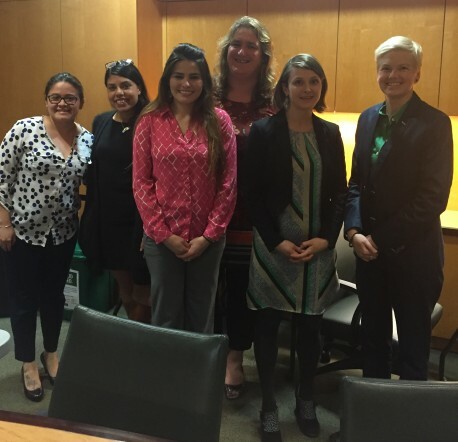 Through a partnership with Whitman-Walker Health Legal Services, I have had the opportunity to work on 11 different asylum cases for transgender women from Central America, Mexico, and Peru. Each of these women were forced to flee their country due to persecution based on their gender identity. While the immigration law practice lessons that I have learned this summer have been invaluable, it is in the strength and perseverance of each of our clients that I have learned the greatest lessons. I have worked on immigration cases for about a year now and decided to make it my focus last fall, after enrolling in Immigration Law at George Washington Law School. In my brief experience, I have heard a number of heartbreaking stories from the individuals I have worked with and helped them file their U-Visa or asylum applications. Each time, the stories were heart-wrenching and tragic, but I always stood firm in the belief that winning their case would take them out of their situation and grant them peace and safety in the United States. This summer is the first opportunity I have had to work for the LGBTQ community. As a Latina as well as an ally and an advocate for LGBTQ rights, I was thrilled I would be able to combine both my personal and professional passions and work to ensure the safety of our clients. 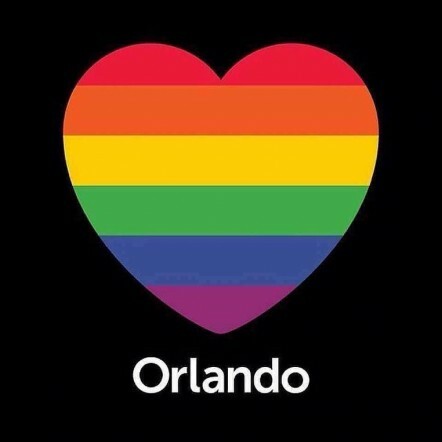 However, shortly after beginning this Fellowship, 49 individuals were shot and killed at Pulse nightclub in Orlando, Florida. The worst mass shooting the United States has seen in history was aimed at the same demographic whose persecution is so severe and pervasive in Latin American countries, that this Fellowship was created as a way to respond to the current demand of trans asylum seekers. As a human being, I shared the devastation of the entire nation. As an aspiring immigration lawyer, I wasn’t sure how I would look any of our client’s in the eye and reassure them that they would be safer in the United States– that they would be able to make a life here, free of violence and judgment. Amid mass shootings, horrid bathroom bills, the mistreatment and abuse that trans women face in ICE detention, and even so much as questions about a person’s “real” name, I wondered if we are really offering the community of transgender asylum seekers a better alternative. Similar questions were asked in an earlier Benach Collopy blog post, written days after the shooting in Orlando, and I was stumped. I questioned how much the United States actually differs from oppressive countries when it comes to the rights of the LGBTQ community; how far have we actually come? At the time of the tragedy in Orlando, it hadn’t even been a year since we took to the streets to celebrate the legal recognition of gay marriage. Finally. But then I spoke to our clients, and despite the tragic losses they continue to face, each conversation was still filled with so much love, gratitude, and optimism. Our clients continue to call and ask about progress on their cases, they continue to come to meetings and bravely talk about their stories. Our clients continue to work zealously and they continue hope, doing whatever it is they need to achieve their goal of citizenship. In their resilience, I have found purpose over and over again. Our clients have taught me that in the face of such senselessly violent acts, whether domestically or on an international scale, there is no room for cynicism or doubt if you want to be able to keep fighting. Our clients are truly remarkable individuals and I am humbled to know and learn from them, as well as for the opportunity to fight for and alongside them. However, there is still so much work to be done. We should all strive to keep listening to the stories of the persecuted, to keep educating ourselves about LGBTQ issues, to learn what it is we can do to stop another act like Orlando from occurring, and to ensure that we are the kind of nation that individuals are fleeing from their countries in search of. Congratulations. Probably traditionally the most frustrating cases a lawyer can handle are death penalty appeals, but today many wrongly convicted are able to be helped by the advent of DNA access. What may seem frustrating at one time, with the zealous help of advocacy groups, moves on eventually.